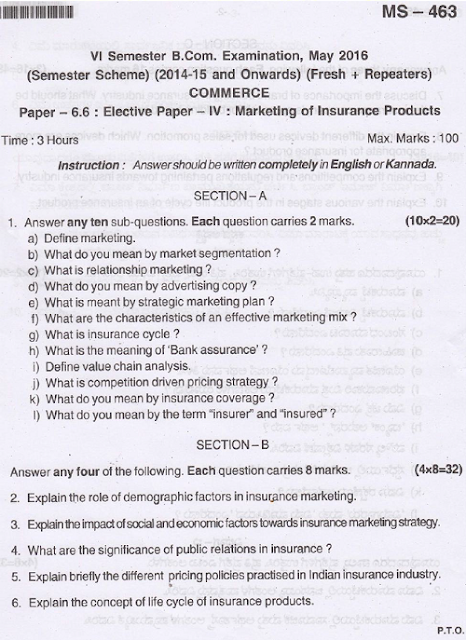 Looking for Marketing of Insurance Products Old Question Papers? 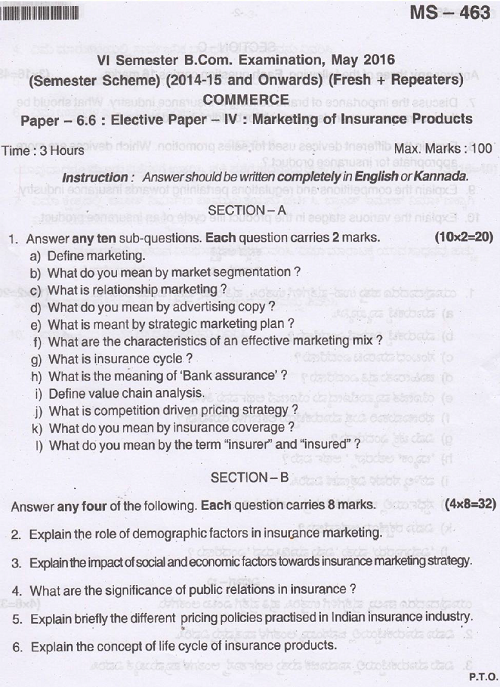 Listed below is May 2016 question paper of Marketing of Insurance Products from Bangalore University. 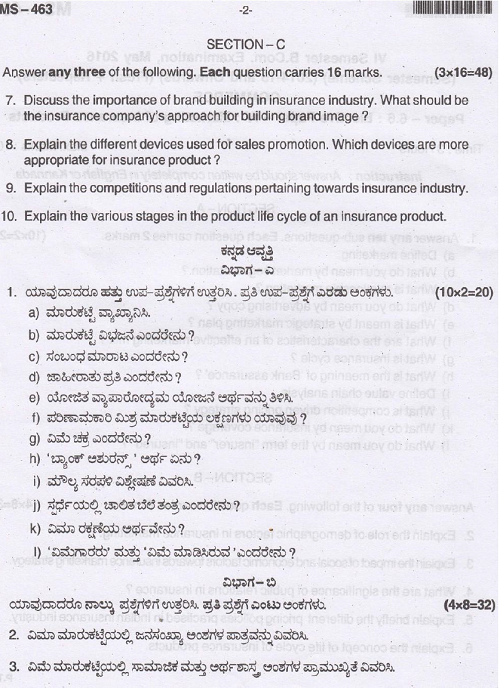 Check out the contents provided below.